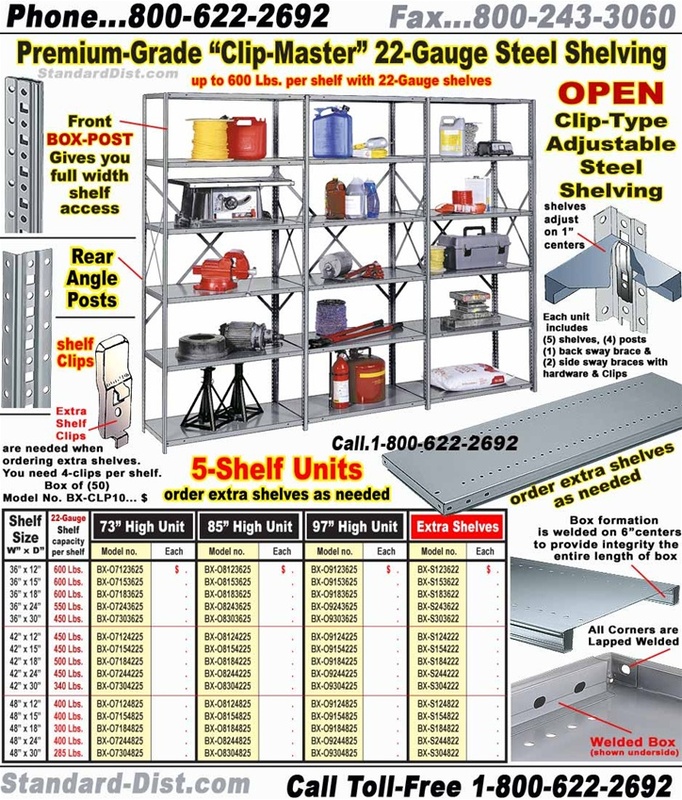 CLIP-MASTER Steel Shelving, 5-shelf units. 22-gauge shelves, CLIP-TYPE. 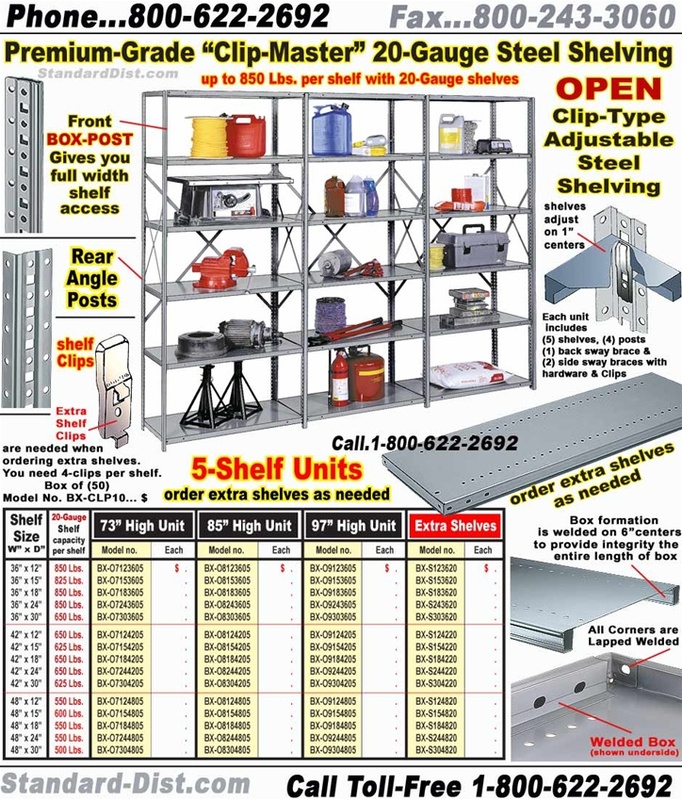 CLIP-MASTER Steel Shelving, 5-shelf units. 20-gauge shelves, CLIP-TYPE. 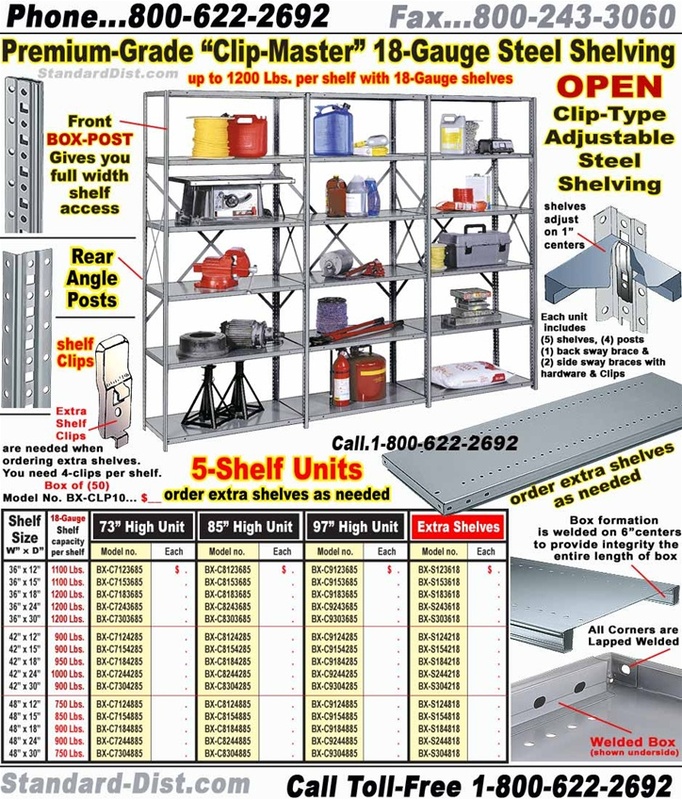 CLIP-MASTER Steel Shelving, 5-shelf units. 18-gauge shelves, CLIP-TYPE.